4. The value of tea cannot be underestimated. Tea in the morning. Tea in the afternoon. Tea anytime. 5. I talk to myself. A lot. But there’s no one around to hear me, other than my canine co-workers, so I think it’s fine. Right? Yeah, it’s totally fine. 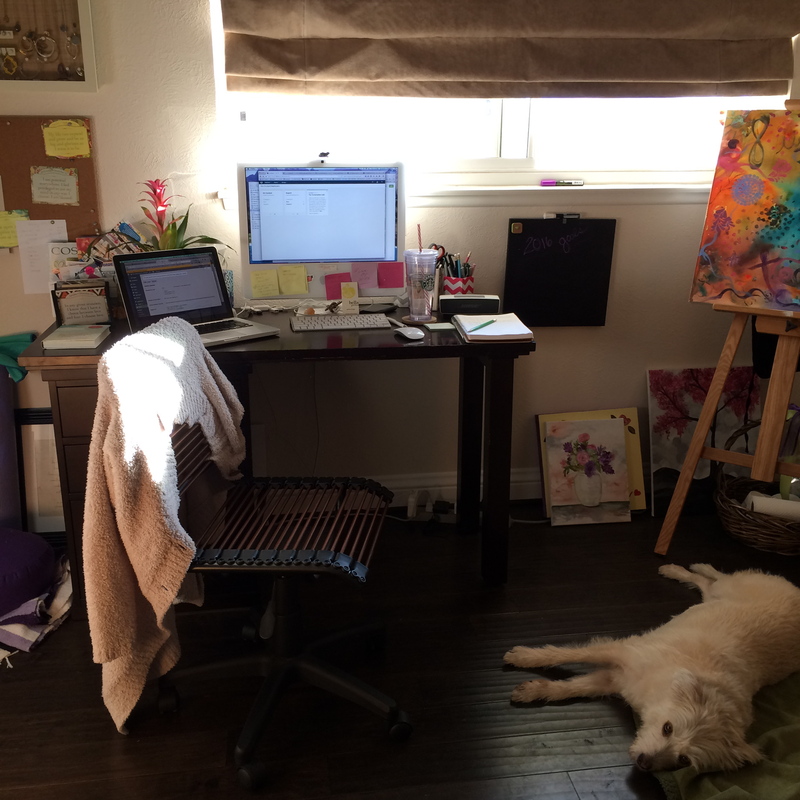 My little creative studio, with canine co-worker Chloe working diligently nearby. 6. My commute consists of the steps it takes to go from my bedroom to my creative studio. It’s about 22, in case you’re interested. This means I’m spending a lot less on fuel, but a bit more on electricity, wireless, “active wear” and um…toilet paper. TMI? Sorry. 7. Now that I create my own schedule, I have to actually plan for down time. 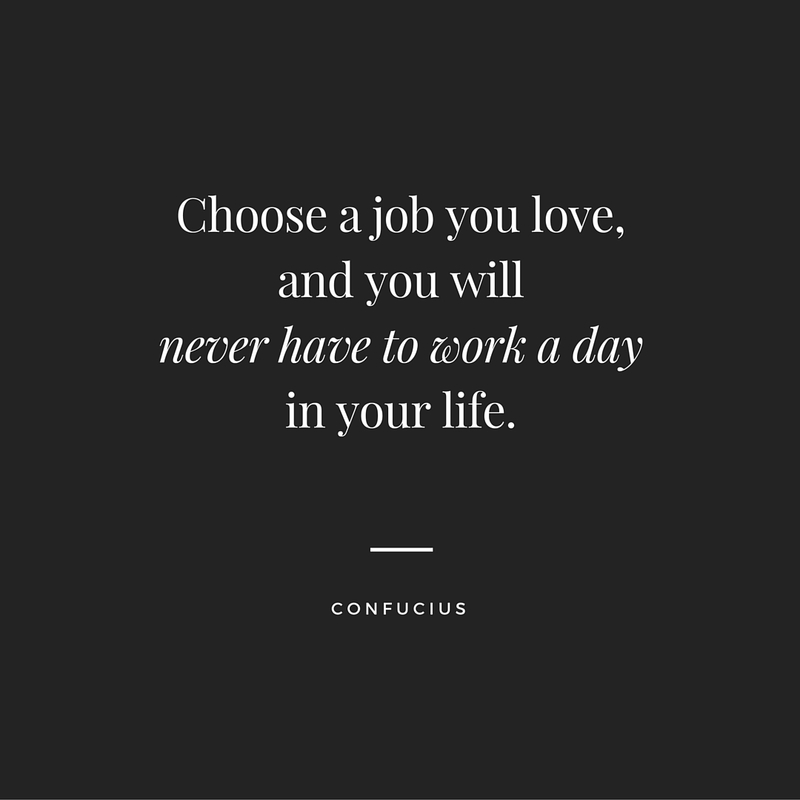 I know the perception is that we freelancers mosey out of bed around 10 am, sit around and watch reality TV until noon, and then finally get to work for a bit before calling it quits at 3. But actually, since I am the one in charge of how much work gets done around here, and therefore, how much money I will make, I gotta hustle. And I also have to recharge. If I hustle myself to the point of exhaustion, there are no sick days to recuperate. 8. There’s also no medical leave. I realized this when I slipped down a few stairs the other night and landed on my wrist. Newsflash: if I can’t type, I can’t work. Which means I can’t pay my bills. Anyone know some tips on how a klutzy girl can avoid slips and falls? 9. The best part: I get to be creative. Every day. And I get to choose my clients, and the space I work in, and the processes I use to get stuff done. I don’t have a phone with 6 incoming lines, there is no central server that can crash, and there is no required reporting. But the buck also stops here. The only one to blame when things go wrong is…well, me. And I think I’m good with that. Boy, did I mine a few nuggets to get my head straight. Thank you ☺️ Good stuff!